This is a followup post to The Trial, which described a drug and weapons offense case from my point of view as a juror. I strongly urge you to read that (including the comment) before reading the rest of this post. I’ve served on several juries in the past 30 years, and that case is the only one where I continue to harbor a certain ambivalence about the verdict we reached, so I was very interested when the defense attorney, Raymond Driscoll, reached out to me and offered to fill me in on what happened after the verdict was read. Thanks so much for responding. I remember this case well despite having handled many more in the years since it was tried. 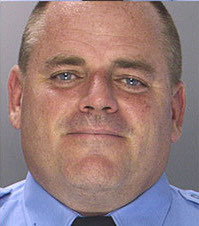 Keith was a SEPTA trolley operator at the time of his arrest. The case took so long to get to trial because the courts are so backed up and Keith was free on bail at the time we went to trial. After the verdict was read and jurors dismissed, Judge Poserina sentenced Keith to 5 to 10 years in prison and he was immediately taken into custody. That was the mandatory minimum sentence at the time because of the quantity (weight) of the pills. Subsequent to all of this information coming to light, Keith was released from state prison after serving almost five years and his conviction was overturned. He has since had the conviction expunged from his record and has a lawsuit pending against the officers and the city. The indicted officers were recently acquitted after a lengthy trial in federal court. It’s very difficult to convict police officers. I appreciated the detail you included in your blog entry and the thoughtful way in which you considered the evidence during deliberations. I reached out to you after reading your post because this case has weighed on me unlike most. Needless to say, this news stunned me. I recalled reading some news accounts of the indicted officers, but I had never made the connection to Keith's case. It wasn’t difficult to find lots more articles about drug convictions being thrown out, reports of the officers arrests detailing some of their alleged crimes, Police Commissioner Charles H. Ramsey declaring this “one of the worst cases of corruption I have ever heard”, accounts of the trial testimony describing how the officers targeted innocent people, and much more. And of course, the most disheartening news of all, last week the former Philadelphia police officers (Brian Reynolds, Thomas Liciardello, Michael Spicer, and three others) won their jobs back through arbitration. Meanwhile, in the days since finding out the connection to Keith's case, I’ve gone from blaming myself for not doing more to prevent his conviction to accepting that given the perjured testimony of the officers (basically all the things they said on the stand, except possibly their names, were lies), the verdict that we reached was appropriate. During the deliberations at Keith's trial, we jurors considered the evidence from just about every angle we could think of, and not one of us ever suggested the possibility of police corruption, even though Philadelphia does have a history of it. In another email Mr. Driscoll assured me that Keith is doing ok, and that's the most important thing. I have a lot more questions about the case. For example, why was Keith targeted? Did they plan to steal something from his house? Or perhaps there was some score that they or one of their accomplices wanted settled. Perhaps one day I'll find out. Update: I've had some Further Thoughts about all this.